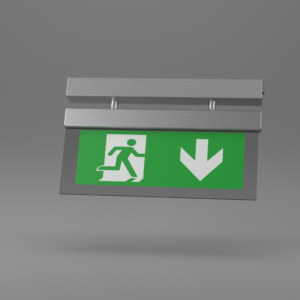 X-ESP - Ringtail Emergency Lighting. The X-ESP Light is an IP65 ceiling mounted emergency escape route sign that’s suitable for exterior and interior use. 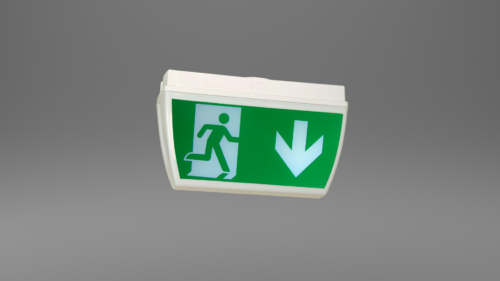 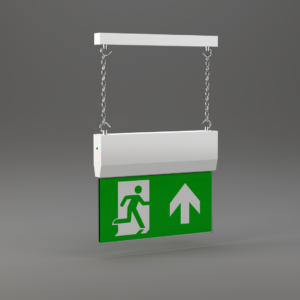 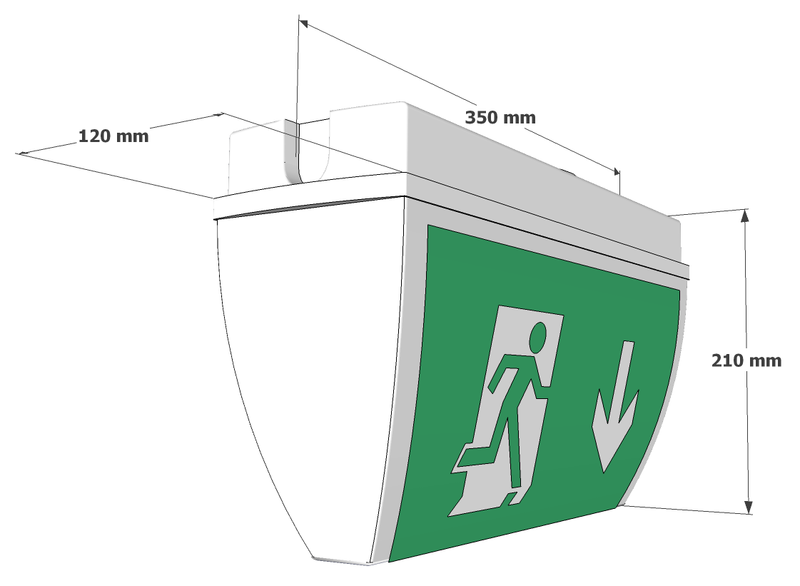 An IP65 ceiling mounted exit sign the X-ESP provides you with a single or double sided exit sign making it versatile and suitable for all escape routes including final exits and intersections. 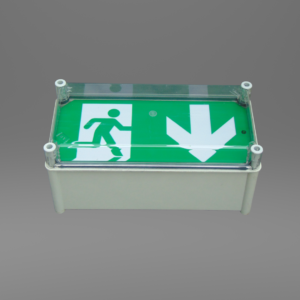 The X-ESP Light is manufactured in white polycarbonate, has cable knock outs, which are provided in the sides and a BESA entry in the base. 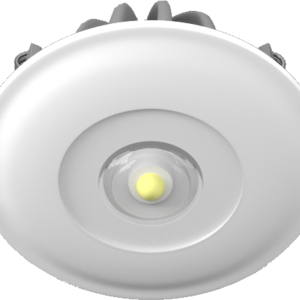 An optional recessing kit is available.